Fiesta Flutes Set of 6 (SKU TG119). Each piece is individually crafted in a labor-intensive process that consists of taking clear, molten glass and dipping it in a separate pot of melted colored glass. Intricate patterns are then hand-cut and polished to brilliant sparkle. 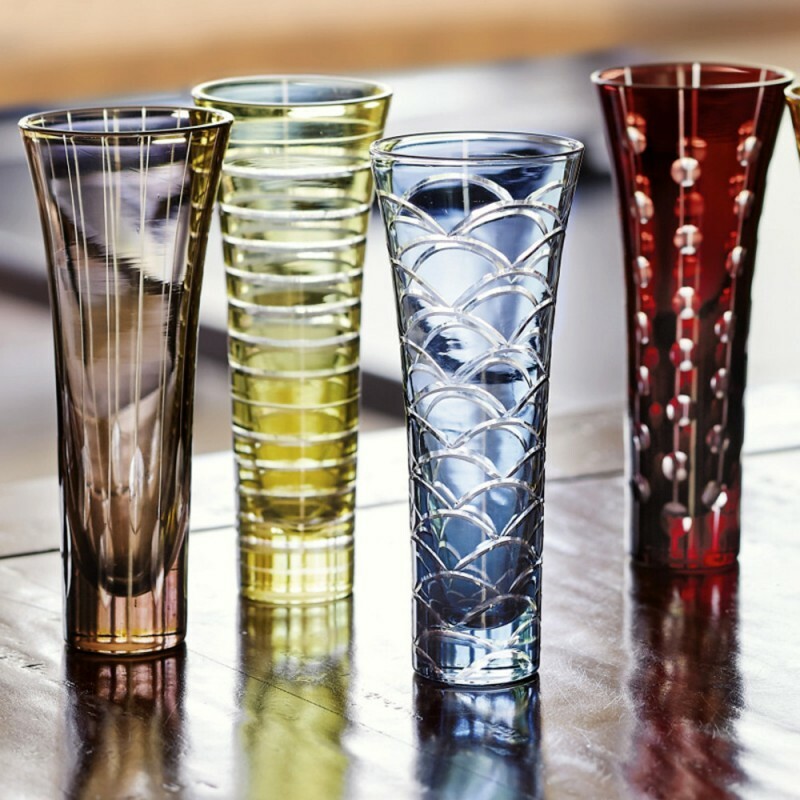 Dots, stripes, and arcs have been etched into lively patterns on the glass, certain to create a lasting impression at any party. Because the flutes are hand-made, each flute will have its own character, personality, and imperfections. Raise your glass in eclectic, colorful style. Mouth-blown glass captures the brilliant play of color and spark of these flutes.